If a fiction writer wanted to lampoon our culture’s obsession with convenience and how this seeps into every aspect of our lives, they would have struggled to come up with a metaphor so crushing and encompassing than the news that you can now get a divorce online for only £550. Is anyone really surprised that the wrenching apart of a family can be arranged at the click of a button? That the children in that marriage will now face a whole range of issues – for example, being more likely to take drugs, fail at exams or exhibit behavioural problems – with no more effort than buying a pair of shoes? 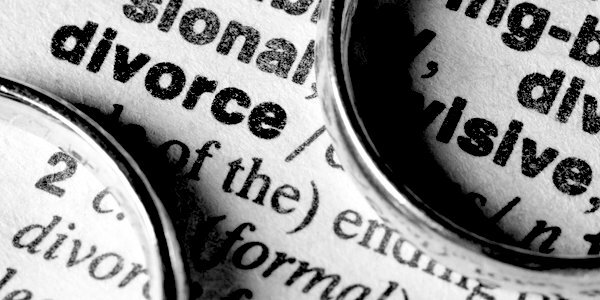 The effects of divorce are one of the many elephants in the room that we simply will not discuss. If we were to admit that divorce has had terrible consequences for children then we might need to reconsider just how progressive all of that liberation was. To paraphrase G K Chesteron, don’t take a fence down until you know why it was built in the first place. Marriage was seen as an oppression that had to be cast aside, but unbeknown to liberal reformers there are consequences to everything. It is the children who suffer the most from divorce, and how many children rampaging around London knifing one another for reasons impossible to understand have fathers at home? St John Paul II said: ‘As the family goes, so goes the nation, and so goes the whole world in which we live.’ The family, in this country, is chaotic, confused and divided, and so is the nation. The trend is similar across the Western world which is going through a period of existential confusion and dread. Nietzsche knew that once God was removed the reasons for the Christian morality on which the West was founded would go, an argument similar to Dostoevsky’s Crime and Punishment. The removal of God is important because marriage was previously seen as both a gift from God and a duty: to God, the nation, and the children themselves. The modern mind no longer thinks in such terms of duty but rather ‘do what’s right for you, man’. In a sense this news is good because it shows starkly how lazy and absurd we are, and how devalued the institution of marriage is. Most people, in their hearts, feel the desire to be married. Seeing how casually it’s treated will hopefully raise a pang of revulsion. I am cautiously optimistic about the future. Twentysomethings like me are beginning to realise that we have been lied to. Just look at Jordan Peterson’s success. It’s anecdotal evidence and a general hunch, but talking to young Catholics, as well as friends, I’m coming across the same story: young people realising that there’s more to life than hedonism, me, me and a bit more me. If this ‘clickie divorce’ shows more people the flippant rot at the heart of our society then in the long run it will be for the best. Previous articleWould Shakespeare pass an A-Level in English Lit?